Hey look! 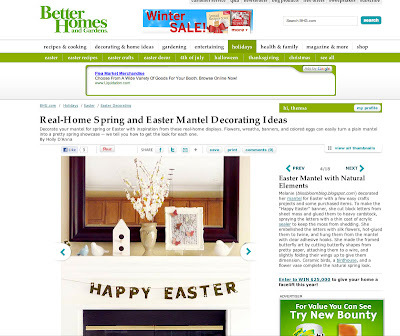 My 2011 Spring Mantel is currently being featured on the Better Homes and Gardens website. I'm so excited! BHG is one of my favorite go-to's for design inspiration, so it's pretty amazing to see my mantel on their site. BHG has collected some great decor ideas from a fantastic group of lifestyle and craft bloggers. 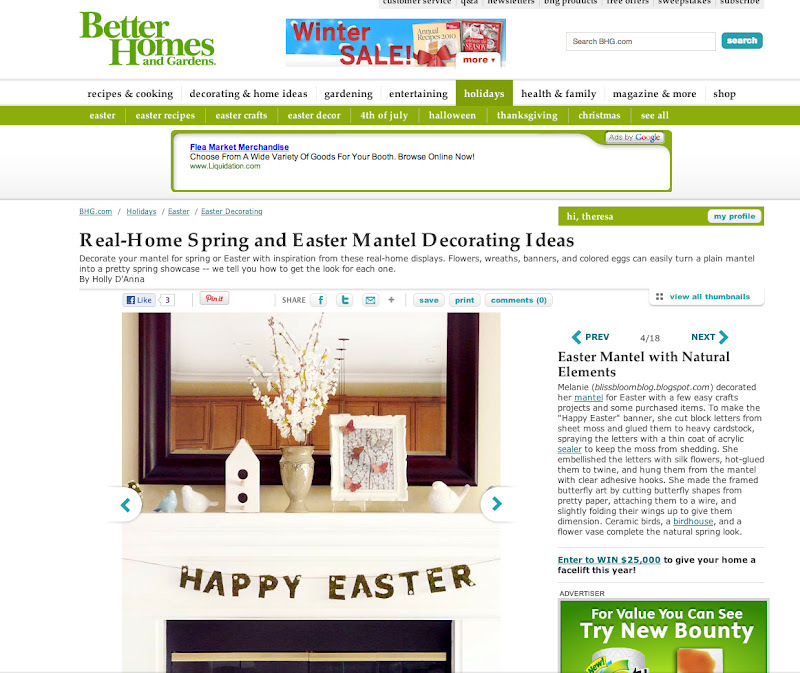 If you're looking for some inspiration for Spring, be sure to check out the Real-Home Spring & Easter Mantel Decorating Ideas article.